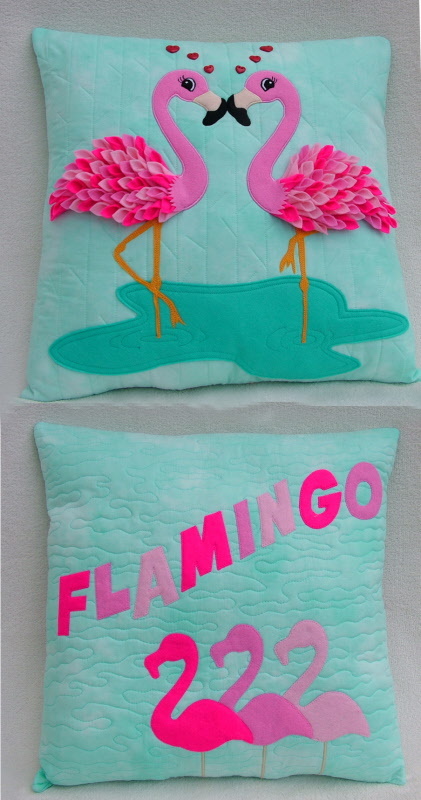 Brighten up the Summer with these fabulous flamingo cushions, designed by Gail Penberthy. The cushion is double sided or you can make two from the one pattern. They are made from felt and are easy to make. the cushion measures 18 x 18 inches andyou will receive the pattern and some of the felts to get you started. Please note that it does not include the background fabric for the cushions.